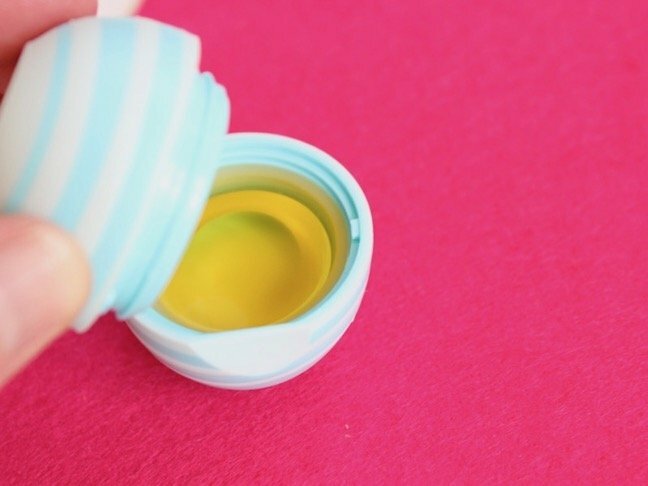 We spent an afternoon together melting ingredients to reuse and recycle those cute egg-shaped vessels by filling them with our own DIY lip balm. It took us less than 30 minutes (with the exception of dry time), and we had a blast doing it. 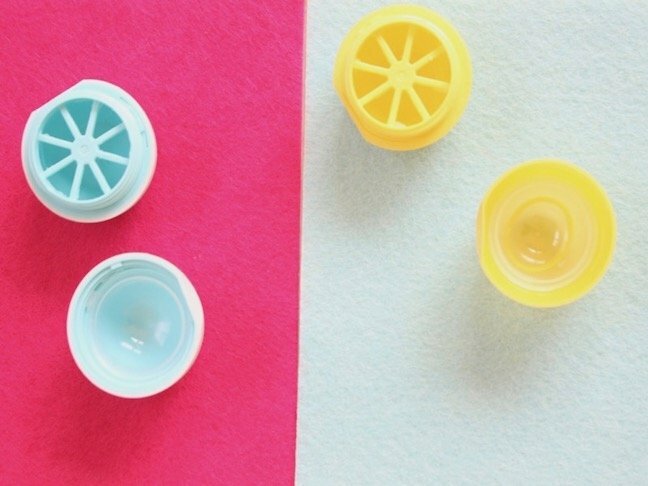 This recipe makes enough DIY lip balm to fill two EOS containers. It’s that “one for you, one for me” kind of project. 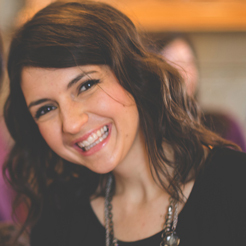 The homemade, organic balm feels so soft and smooth, which is especially welcoming during these dry winter months. 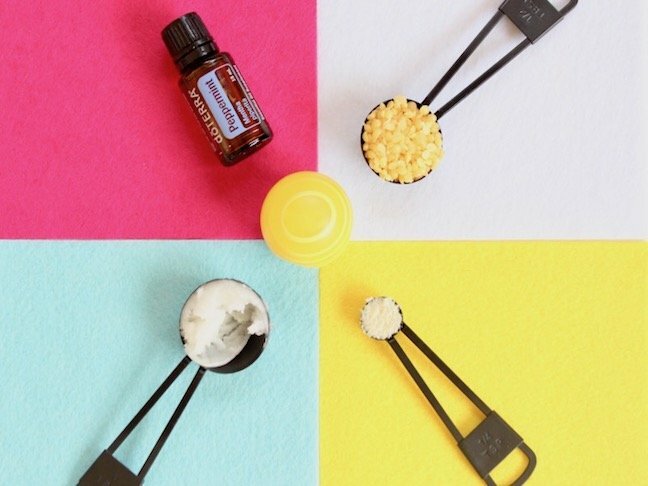 So before you throw out your empty EOS spheres, follow the recipe below to make your own DIY EOS lip balm. 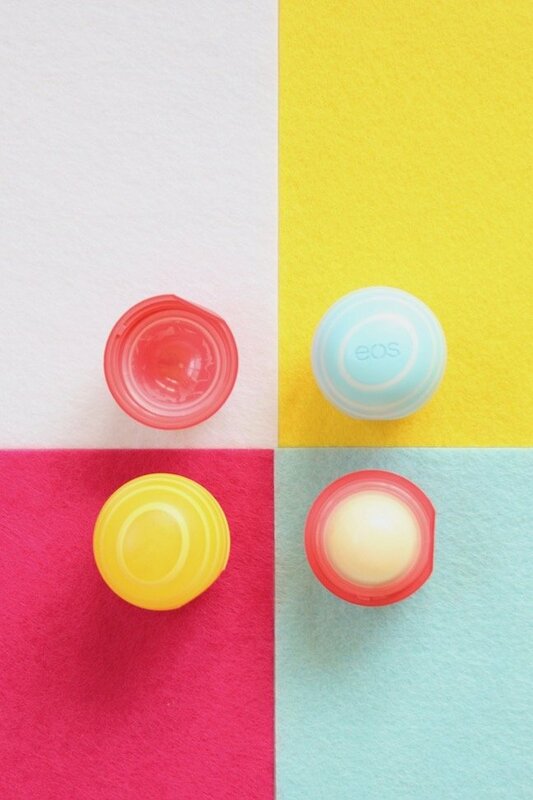 Step 1: Clean the empty EOS container. 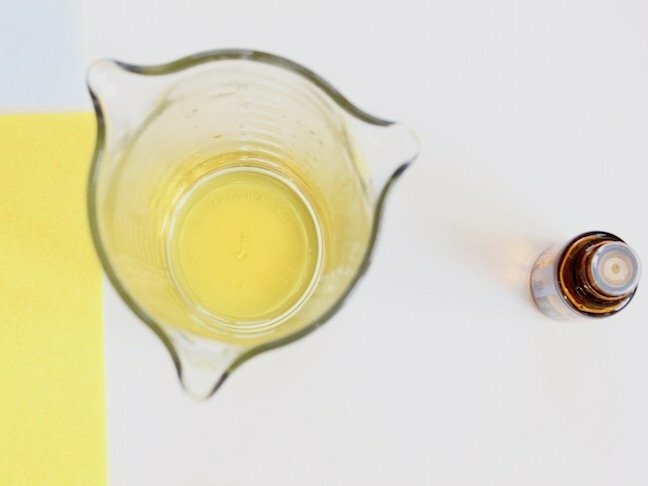 Step 2: Gather ingredients for the lip balm, and pour them into a glass measuring cup or a glass container with a spout. Step 3: Place the container in a saucepan that contains two inches of water, and boil the ingredients until fully melted. Let the mixture cool for about 30 seconds. Then, add 15 drops of essential oil. I love the cool sensation and smell of peppermint on my lips, so we used peppermint essential oils. 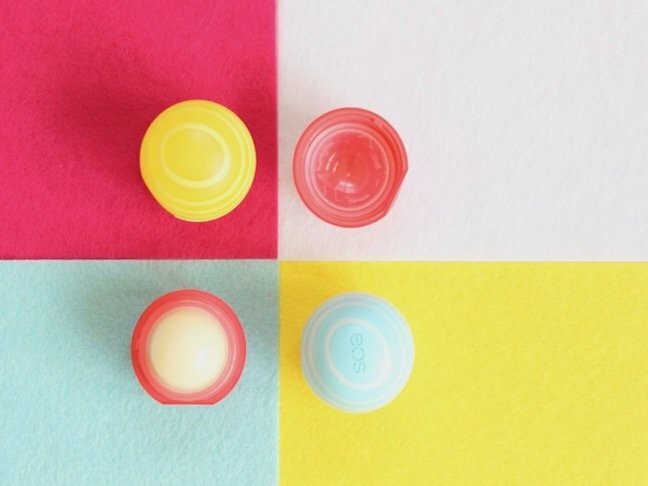 Step 4: Pour the melted ingredients into the rounded side of the empty EOS container. Do not overfill. Step 5: Add the bottom half of the EOS container to the top rounded part that contains the melted ingredients. 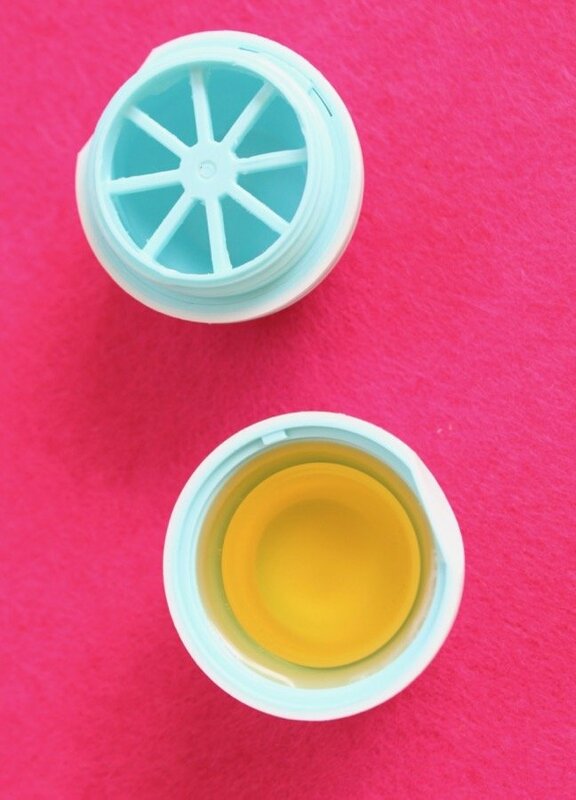 This will ensure your DIY EOS lip balm will be formed into the bottom part of the mold and stay in place. 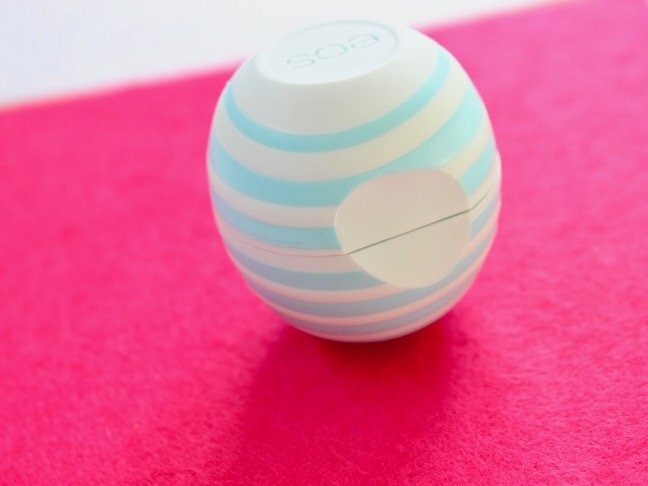 Keep the EOS container upside-down while it hardens. Leave it to harden for at least one hour.